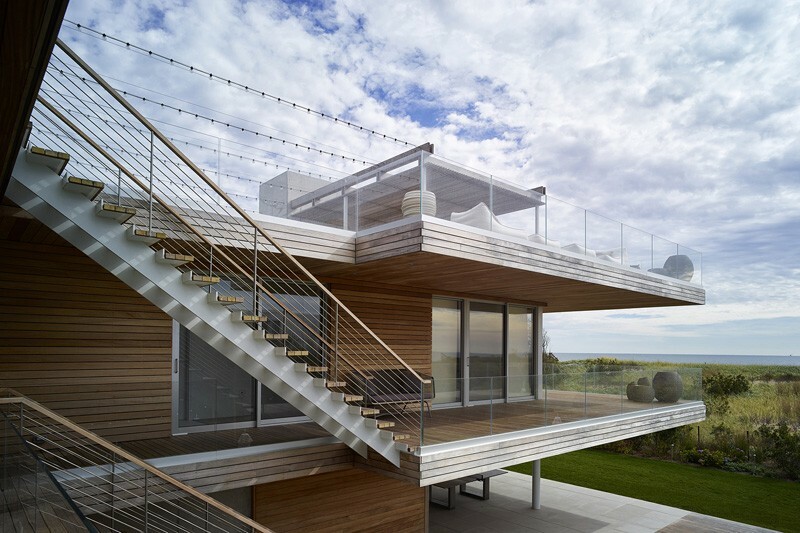 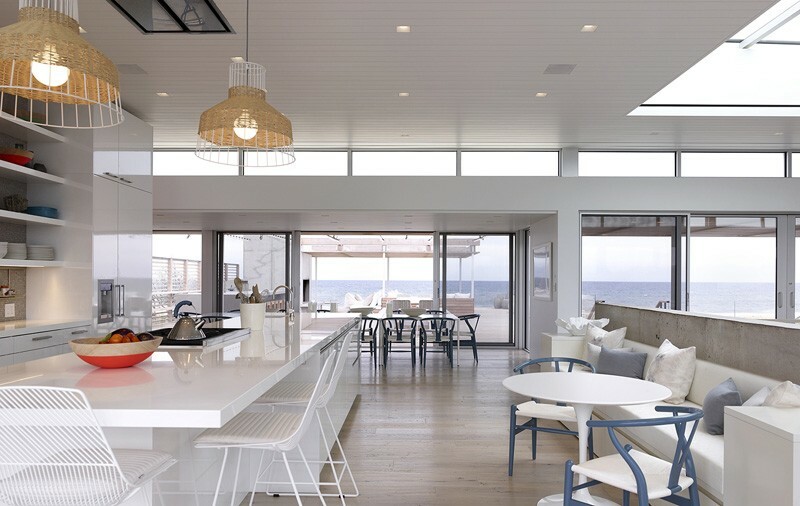 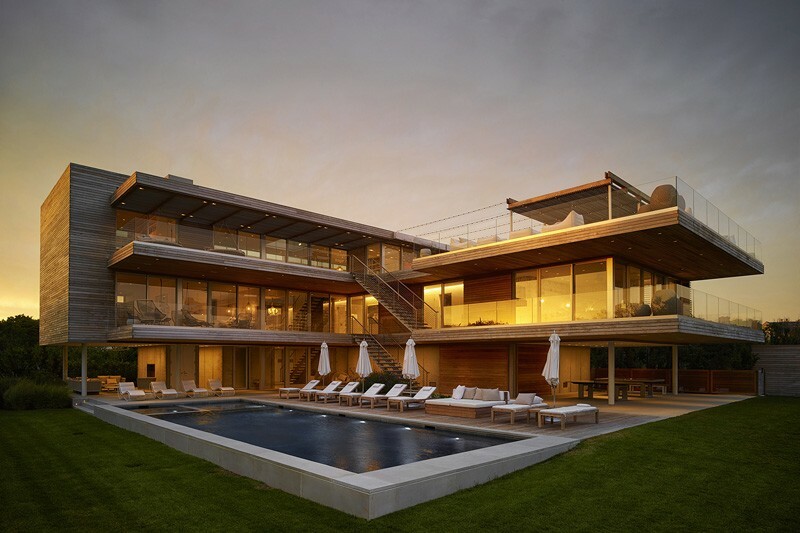 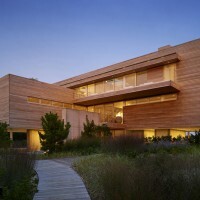 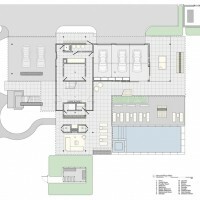 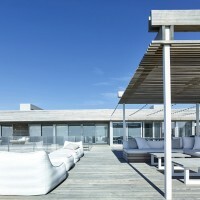 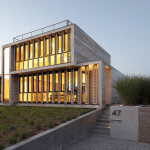 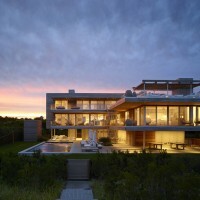 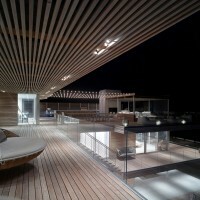 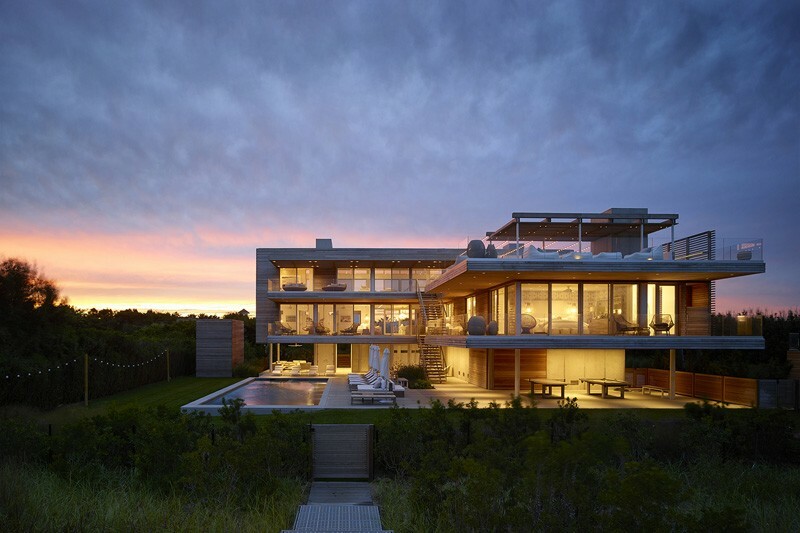 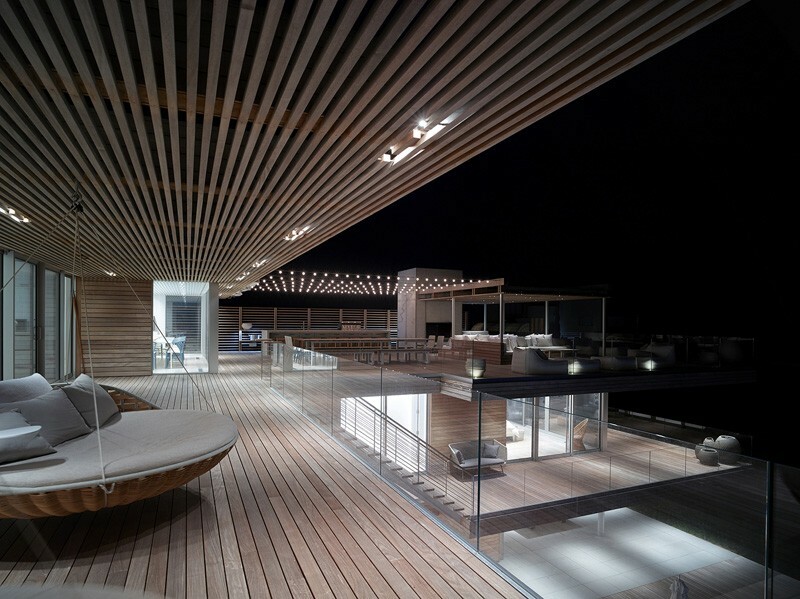 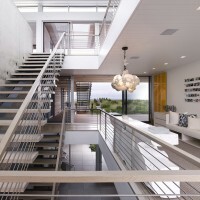 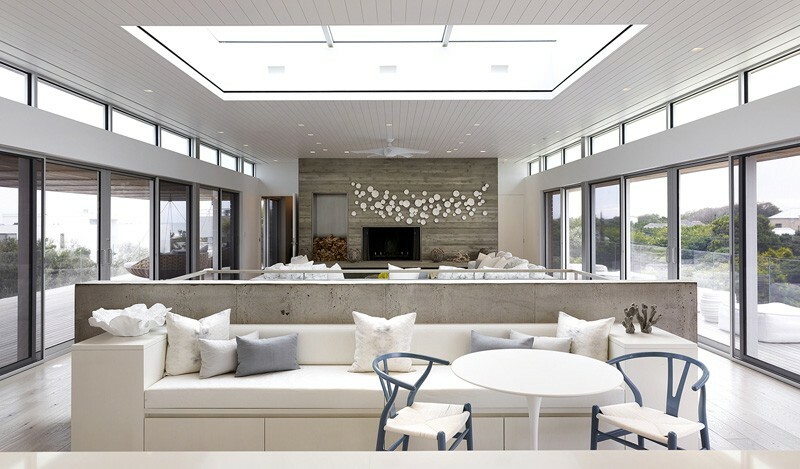 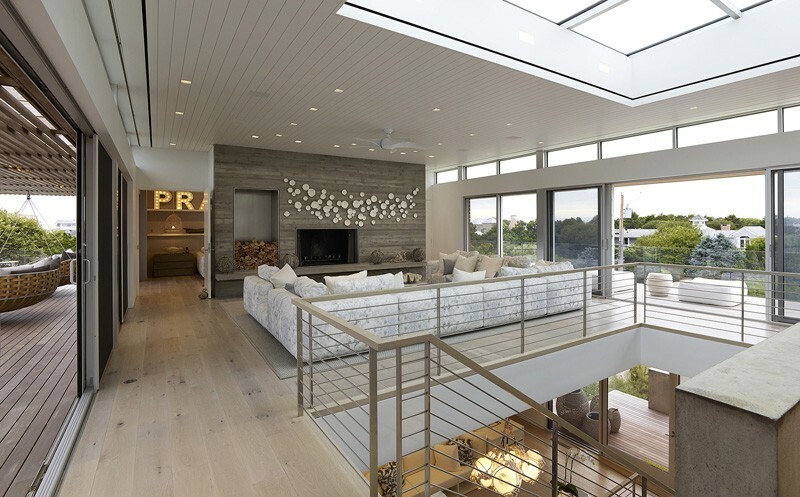 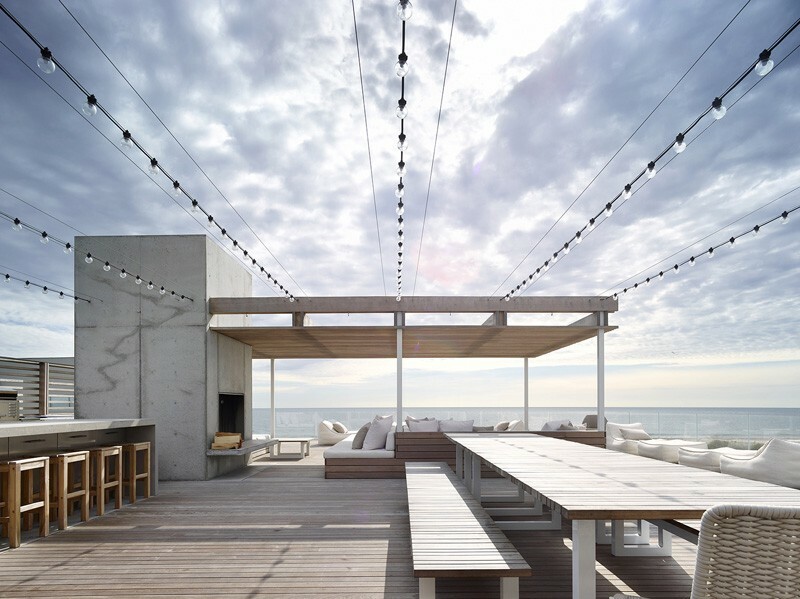 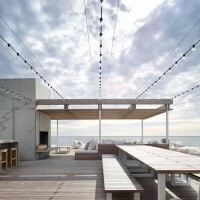 Stelle Lomont Rouhani Architects have designed the Ocean Deck House, an oceanfront property in Bridgehampton, New York. 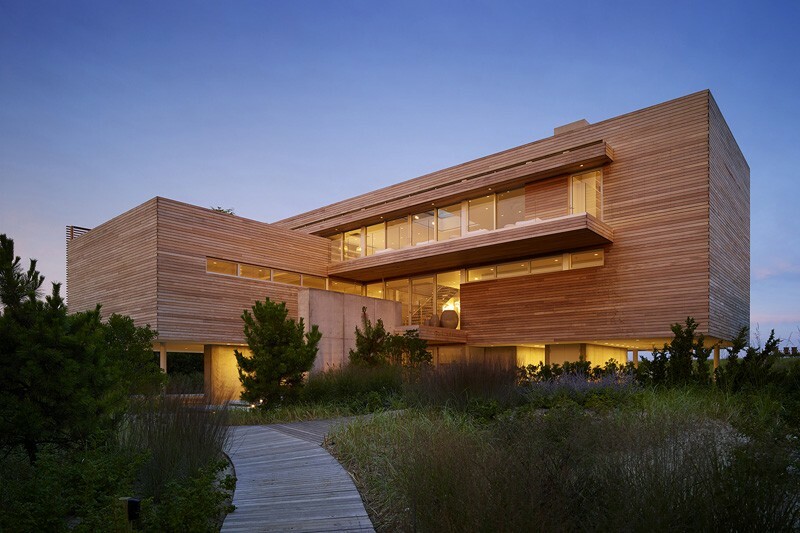 As a measure to preserve the integrity of the dune, the house is pulled back from it to create three distinct experiences on each level. 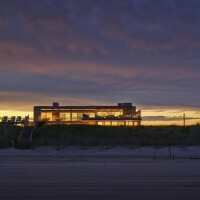 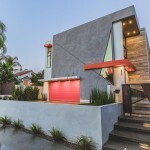 The ground level is nestled behind the dune and provides for a mixed wood and concrete paved patio with a pool, outdoor fireplace and covered ping-pong area. 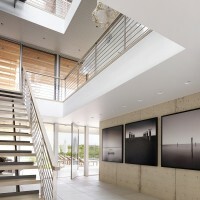 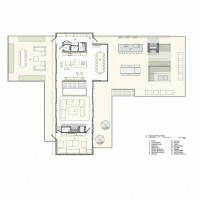 Areas on this level intended for storage and lower level entry are enclosed by a combination of glass and concrete walls. 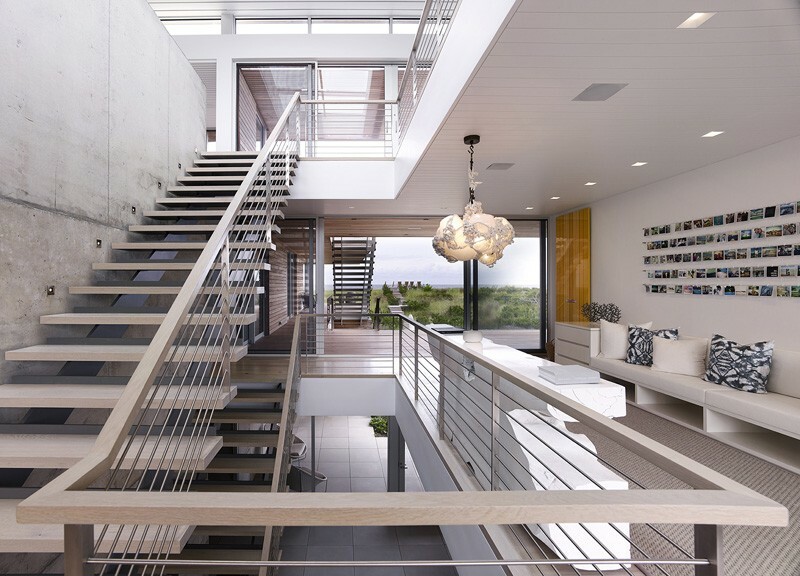 The main floor is accessed from an exterior cantilevered stair that leads to the central light filled atrium. 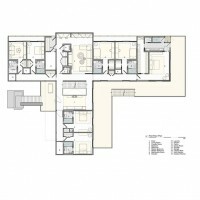 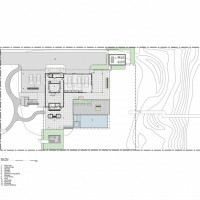 This main level houses all the bedrooms and a centrally located family room.